Do I get a job on the News OF The World? 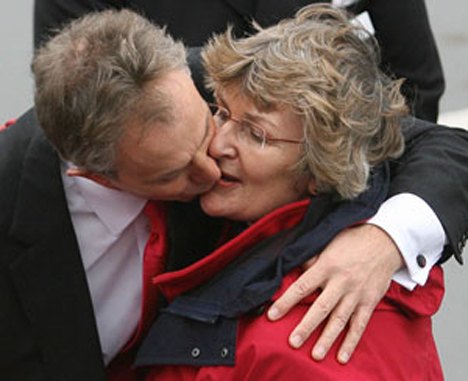 At first I thought Mr. Tony's new special friend was none other than Germaine Greer. She looks as if she's enjoying that. PS: where's his wedding ring? OMG!